Insomnia is on the rise. More than a third of all adults report experiencing it, with the figure climbing steeply among those over sixty-five. 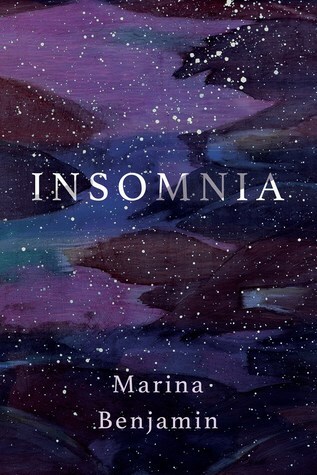 Marina Benjamin takes on her personal experience of the condition--her struggles with it, her insomniac highs, and her dawning awareness that states of sleeplessness grant us valuable insights into the workings of our unconscious minds. Although insomnia is rarely entirely welcome, Benjamin treats it less as an affliction than as an encounter that she engages with and plumbs. She adds new dimensions to both our understanding of sleep (and going without it) and of night, of how we perceive darkness. Along the way, Insomnia trips through illuminating material from literature, art, philosophy, psychology, pop culture, and more. Benjamin pays particular attention to the relationship between women and sleep--Penelope up all night, unraveling her day's weaving for Odysseus; the Pre-Raphaelite artists' depictions of deeply sleeping women; and the worries that keep contemporary females awake. Insomnia is an intense, lyrical, witty, and humane exploration of a state we too often consider only superficially. "This is the song of insomnia, and I shall sing it," Marina Benjamin declares. This isn't a book that will help you solve your insomnia, but it does go someway in helping you understand it and know that you aren't alone as the author does a beautiful job of describing how she feels when she is suffering insomnia, and all the rational and irrational thoughts that go through your head while the rest of the world (so it seems!) is sleeping with no problems. It's only a short book but contains so many different thoughts, perspectives and attitudes towards the different stages of insomnia, how it has affected others and how you react to it when suffering. I found myself agreeing with the author on a number of occasions with the thoughts she had as she tried to overcome her insomnia and put that time to good use in whatever way she could. It touches on the factors in modern life that cause it along with the world we live in that has an industry in sleep cures - all the pills and potions that are meant to help you in your hour of need! I loved the way it was told in little paragraphs - the variety of thoughts and randomness of your mind when it is deprived of sleep, and found it to be an interesting book to read anytime of the day or night! Ooh and it has a beautiful sparkly cover! A very pretty addition to your ookshelves!